You’ve fished, caught, built, and befriended your way through days and days of Animal Crossing Pocket Camp (Free). Now you’re looking at how to finish strong. Here’s what you’ll be thinking about as you enter the final stages of Nintendo’s latest mobile offering. This is the third part of our series of Pocket Camp guide. If you missed out on the previous ones, start with the beginner’s guide, and move on to the daily mid-game grind guide before wading into this end-game guide. Let’s set the stage. You’ve been doing your daily goals and working towards crafting your third-tier amenities. You’ve been focusing on just two personality types and befriending those specific visitors (you did read our Maximizing Daily Rewards guide, right?). Some visitors, especially those in your camp, are approaching the level 15 cap. Maybe some already have hit it but your balance of invited campsite visitors has netted you plenty of needed crafting materials. By focusing on just two personality types, you’ve been amassing the rare but needed Essences. It’s been quite the slog but you’re finally ready to craft those two third-tier amenities and figure out your next step. You now have two paths going forward and they depend on what your preferred immediate outcome is. Both loop into each other towards their ends so don’t worry about having to make some irreversible choice. On this path, you continue doing your daily routine with the animals you’ve already invited. The higher level your visitors, the greater the rewards they give you so it makes sense to get them to Level 20 as quickly as possible. Pushing them beyond Level 15 may even unlock offers for actual rare catches (like the ones that have been burning a hole in your inventory). An easy way to push your visitors quickly to 20 is with their special item requests. Every visitor has a craftable item (some unlock at 12, others at 15) which is particular to them. It might be a bass guitar, space shuttle, or sports car. Only craft this once you’ve unlocked that visitor’s level caps. It’s expensive to craft (material-wise, not so much Bell-wise) and can take upwards of 24 hours to complete but it’ll add 10 friendship points (nearly a whole level) and reward you with 1,000 Bells, a Request Card, and a Calling Card. It’s an easy way to push your visitors upwards quickly. Leveling up the other amenities you ignored up until now will also assist in pushing towards level 20. They do provide boosts of 5 friendship points to all your campers, after all. It’ll also mean less waiting when you move over to Path 2. As a general rule, Path 1 will net you an easier time doing anything involving Bells or crafting. Paying off loans for bigger vehicles is substantially easier. You’ll be rolling in so much crafting material that you can craft anything you’d like. 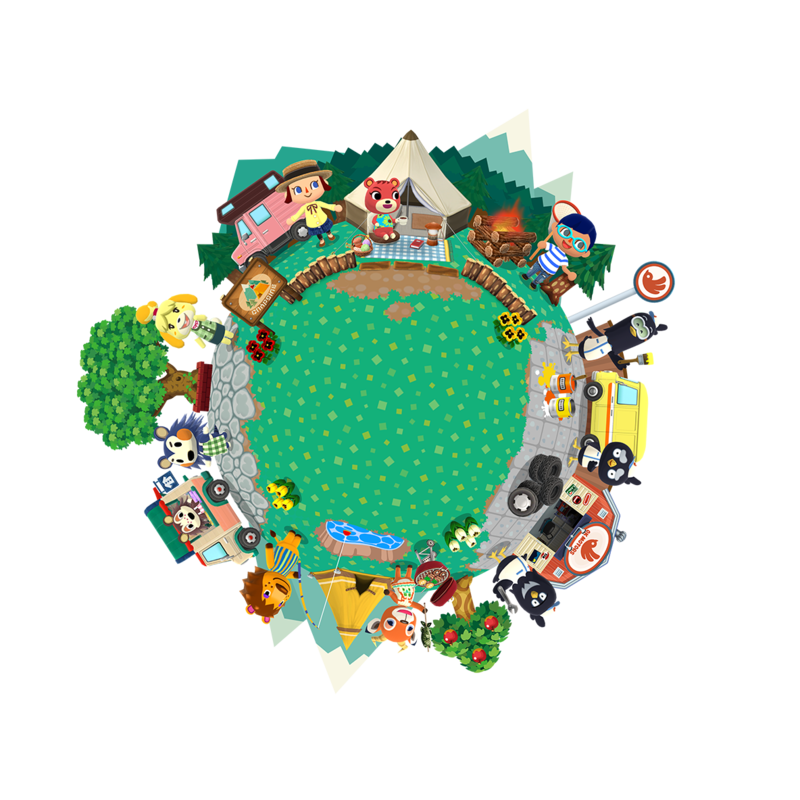 For players looking to customize the look of their Pocket Camp game, this is the way to go. However, once you hit level 20 with a visitor, that’s it as far as their advancement goes. If you want to push more visitors to level 20, you’ll need to move over to Path 2. For players who hate wasting opportunities, this path offers more work but with fewer chances of squandering friendship advancement. If you play enough, even visitors you’re not devoting all your resources to will approach their own level caps. Once your two third-tier amenities are crafted, it’s time to switch everything up to the other two. For the purposes of this discussion, I’ll use my own experience of first focusing on Natural and Cool personality types. Once I built the third-tier amenities for both of those, I turned to Cute and Sporty. Chances are, like me, you’ll have some Essences on hand from the other two personality types. I had enough Cute and Sporty Essences to bring my second-tier amenities to level 4. But to really start advancing on the third-tier amenities, I had to send home my first set of invited Natural and Cool visitors, invite new Cute and Sporty ones, and get back to the daily grind of working up these friendships. 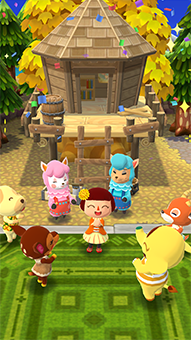 Your campsite will once again be the center of Essence and crafting material generation. You won’t earn as many rewards from these lower level visitors so visit often. You will occasionally see your old friends around the map so do make sure you hit them up for those bigger rewards and Bells and Essences. Once you have the necessary crafting materials and Essences, craft away on those third-tier amenities (those 72-hour crafting timers are tough). If you’ve read the Beginner’s Guide, you know my recommendation of appropriate uses for Leaf Tickets. This is where that recommendation comes into play. If you’re like me, you’re plugging away everyday towards unlocking all the third-tier amenities and feeling a little tired. There’s no shame in using Leaf Tickets to get another 15 Sporty Essences so you can start the crafting timer for the third-tier Sporty amenity. It’s okay, you’ve earned it and that’s what hoarding those Leaf Tickets is there for. Once you’ve crafted those last two third-tier amenities, your options are wide open. You could continue slowly leveling up every visitor towards level 20. But with all the level caps unlocked, it’s best to look back to Path 1. No level caps means no wasted friendship points. Focus on just a set of your favorite campers (let’s be real, Tex is the best) and get them to level 20 and maximum rewards ASAP. You can rinse and repeat this process until you’ve got all their photographs (the level 20 award). Animal Crossing Pocket Camp doesn’t have an end goal or “You Win” screen. Like all other Animal Crossing games, the fun is in the little pleasures and achieving your own goals. Whether that’s getting your favorite visitors to their maximum levels, setting up the perfect rock stage, or paying off the largest loan, there’s no right or wrong way to win at Animal Crossing. Hopefully this guide provided you the best possible methods for achieving your end goals.